I took a picture of ESB on the way to QNS MoMA; I added 7 old pictures to the thread. Empire State Building at the end of 47th Avenue in Queens. 5 January 2003. Empire State Building and Schwartz Chemical Factory in Queens West. 23 February 2002. The view of Empire State Building from Queens West. 23 February 2002. The view on Queens West development and Empire State Building from the Long Island Expressway. The view of Manhattan from Grand Ferry Park with Empire State Building. 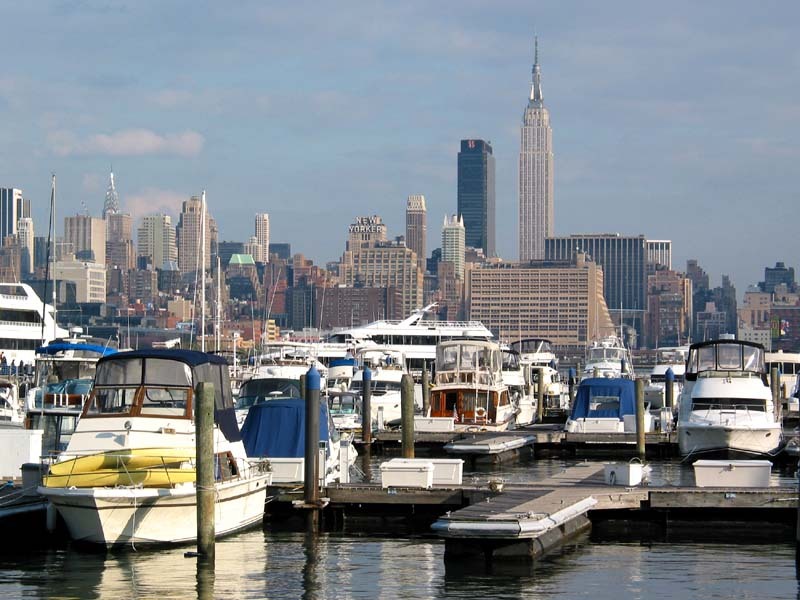 Newtown Creek in Queens and Empire State Building. 3 March 2002. The view of Empire State Building from World Trade Center Observatory. *That last picture was a nice touch. Edward, great pics. I haven't been on the forum that long, so these are all new to me. Thought I'd toss out my thoughts on a few pics! #4) Nice shot of Queens West. I'm guessing the building u/c will be about as tall as citylights when completed. #6) What building is that u/c on the far right? Sad shot, maybe, but I like the collage. * I think that it is a fitting bookend. *I will never forget! *Why should we forget? It must have been taken shortly before 9/11...Bear Sterns was either complete or very close to completion. That second to the last photo, taken at night is quite nice, very Gotham. That last photo is sad... and the blue face on the billboard over to the right is creepy! Different viewpoints of the Empire State Building. Its interesting to see ESB from the freeway in Queens. The last photo is sad , because World Trade Center is gone now. I agree, Ptar. *That last photo really makes me regret having never gone to the top of the WTC. ...well I went once, about seven years ago. *I was about ten, so I don't remember much, other than it was a cloudy day and getting a bad sense of vertigo when I looked out an 80th floor window. And then there were those displays above the elevator door inside the car which showed funny stick figures looking squashed or elongated. *It was supposed to simulate how people feel as the elevator went up or down. Those're great pictures. How do you post pictures anyhow? It's always I'm not sure how to describe it, different, to see a picture of or from the WTC. I remember a few months ago I saw a website that used to have a web cam on the observation deck of the WTC. It wasn't updated for a long time and hadn't mentioned anything about Sept.11, from what I can remember. The screen of the webcam was blank. A repeat of the recent post: The Empire State Building in blue and green colors on the occasion of 110th Anniversary of the National Council of Jewish Women. The view from the 64th floor of the GE Building. 8 December 2003. The Empire State in Christmas colors, with Hudson River Park waterfront and Perry West condominiums. That's an interesting shot, reminds me a little of a Dutch jagged street grid or something with the centerpiece sandwiched... if that made sense.